Youth in Khayelitsha, South Africa, are wearing HHS soccer uniforms this fall. 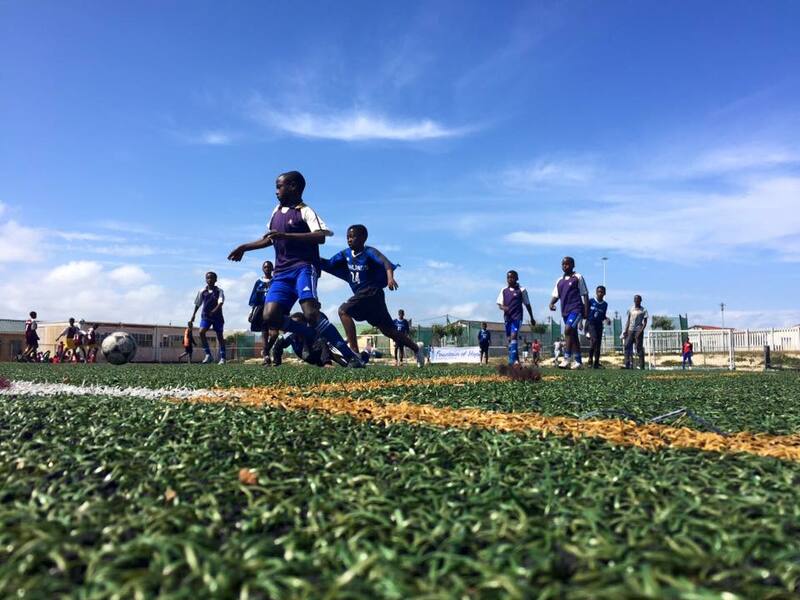 Late May Highlands High School's varsity boys' soccer coach, Matthew Winkler, traveled to Cape Town, South Africa, as a member of a Crossroads GO Trip. The group's mission? Provide business training for up to 30 people, help launch a new church supported by Orchard: Africa, and run a vacation bible school for youth in Khayelitsha, South Africa. Because the vacation bible school's indoor space was small, the children spent some of the time outdoors, playing soccer. Winkler, who works in IT by day, was the perfect fit—for both the business training and coaching soccer. "It was a truly rewarding and learning experience on all fronts," Winkler says. 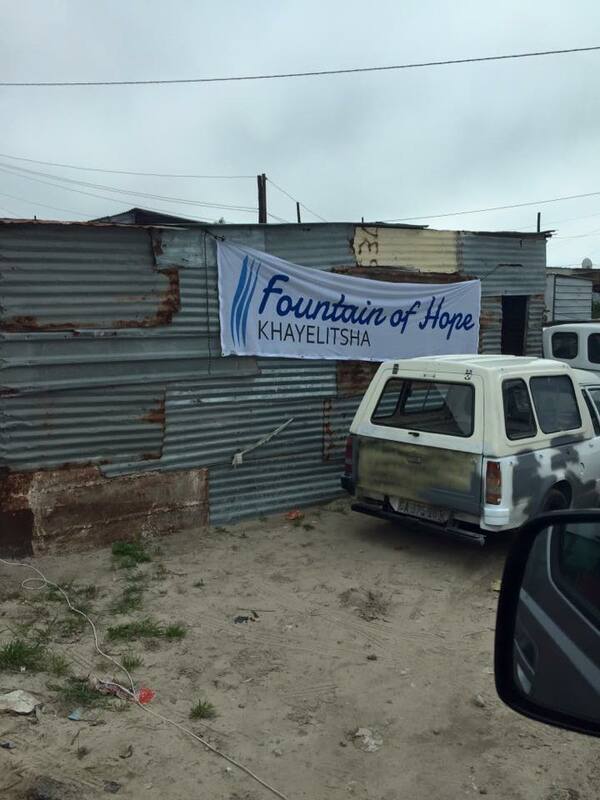 "Cape Town is one of the wealthiest cities in South Africa while Khayelitsha is one of the poorest. When we were playing soccer, I had taken along some bibs to help identify teams. The kids thought that was great and there began my thoughts of, How could we help them with uniforms and other gear? Knowing that we had old uniforms just sitting on the shelf helped put the thought in motion." A few years ago the Kentucky High School Athletic Association made a change in the uniform standards. "Our home uniforms did not meet the requirement so we had to purchase new uniforms," Winkler says. "Those old ones were still in great shape but due to the new requirements, we could not use them." Winkler was reading about other local high school that had donated their old uniforms to other countries. "I thought that if we had a place to send them, that would work for us, too," Winkler says. 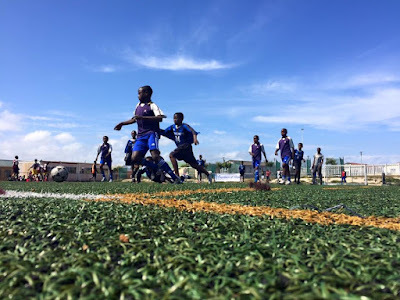 "One of the volunteer leaders at Crossroads contacted me and said there was a trip [to South Africa] in early October and they wanted to know if there was any soccer related gear that we could donate. The timing was perfect." Highlands donated about 20 complete sets of (white and dark uniforms) along with some additional older uniforms and warm-up sweats. Members of October's Crossroads GO Trip transported and gifted the uniforms. Crossroads' Director of Communications Brennan Hill was the October trip's leader. 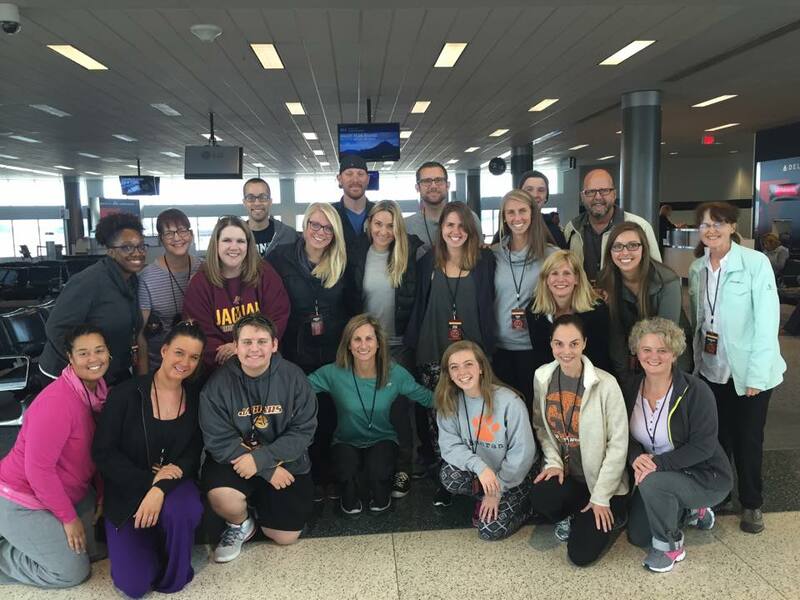 Twenty-two people from various Crossroads sites attended the trip, and they brought the uniforms to the youth. "They were ecstatic, along with Pastor Patrick who builds into these kids each day," Hill says. "They didn't have uniforms before our trip and they were a big hit. We plan to bring more supplies in our trips in 2016." 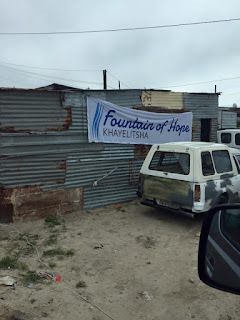 Khayelitsha is one of South Africa's poorest cities. Winkler says that simply finding and providing basic life needs for the youth of Khayelitsha is a big task. "Uniforms would not be something that would ever really happen because funding really should be spent on more important essentials," he says. "Part of sending the uniforms was thoughts of hope and love for the community of Khayelitsha, which had touched my heart when I was there. Soccer is huge in this area in South Africa. Giving the kids some hope through having a nice uniform and other gear can drive their passion to escape poverty and change the poverty cycle." Winkler also notes the importance of exposing Highlands high schoolers to these situations, showing them real-world problems and ways we can help. "We encourage our team to give back when we can so that others can experience some of the great things that we have on a daily basis," Winkler says. Recently the team worked at a new shelter house on Cincinnati's west side, setting up a new facility for its residents. "They also helped work the Big Top Festival at Woodfill [Elementary], which I actually think they may have had more fun than some of the kids that attended. FTIS provides students with engaging and challenging experiences, which inspire them to be lifelong learners. Exposing and encouraging them through volunteer experiences is necessary to meet the mission of FTIS." And seeing pictures of the kids in their new uniforms? "It's awesome," Winkler says. "It's exciting to see the smiles of the kids' faces and the joy that surrounds the game of soccer."